Simple mounting system makes installation, cleaning, and maintenance (like oil changes) a snap. Much quieter than aluminum skid plates. Allows engine to run cooler. Does not affect frame rigidity/flex. 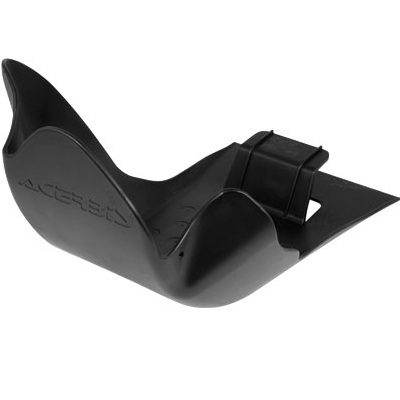 Snug fit prevents mud/dirt/rocks/debris from building up between the skid plate and the motor. Less expensive than many other aluminum or carbon fiber units.